Hamas has signaled that large crowds, numbering perhaps in the thousands, might try to break through the border fence to realize the “right of return” to lost homes. Israel immediately annexed east Jerusalem – home to the city’s most sensitive Jewish, Muslim and Christian holy sites – in a move that has not received international recognition. The Palestinians claim east Jerusalem as the capital of a future state. 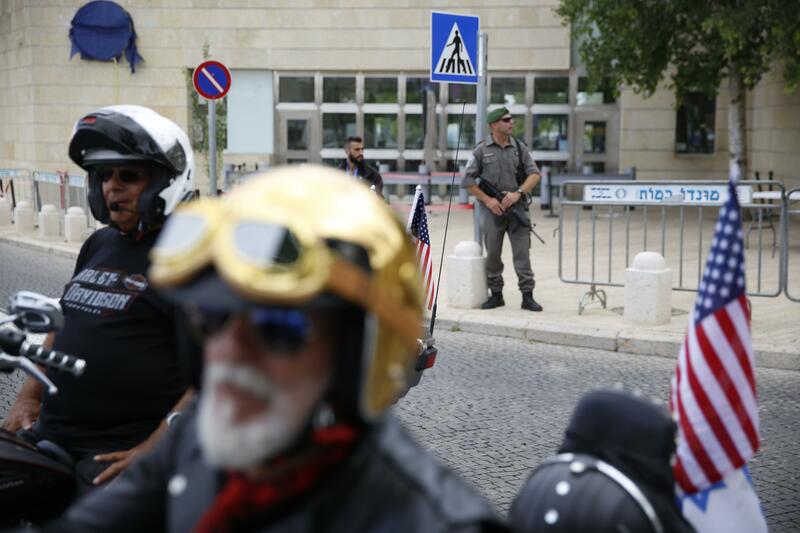 In a reflection of the deep sensitivities, dozens of countries – including Britain, France and Germany – skipped Sunday night’s celebration at the Israeli Foreign Ministry. “Tragically, the U.S. administration has chosen to side with Israel’s exclusivist claims over a city that has for centuries been sacred to all faiths,” said Husam Zomlot. Published: May 13, 2018, 11:38 a.m. Updated: May 13, 2018, 9:47 p.m.